If you haven't noticed, there is an inordinate amount of sushi joints in the Lower Mainland. However, for the longest time, most of them were not very authentic and offered up what could be considered "value sushi". Hey, we deserve the restaurants that we have! If that is what people were used to and demanded, then that is what we will get. 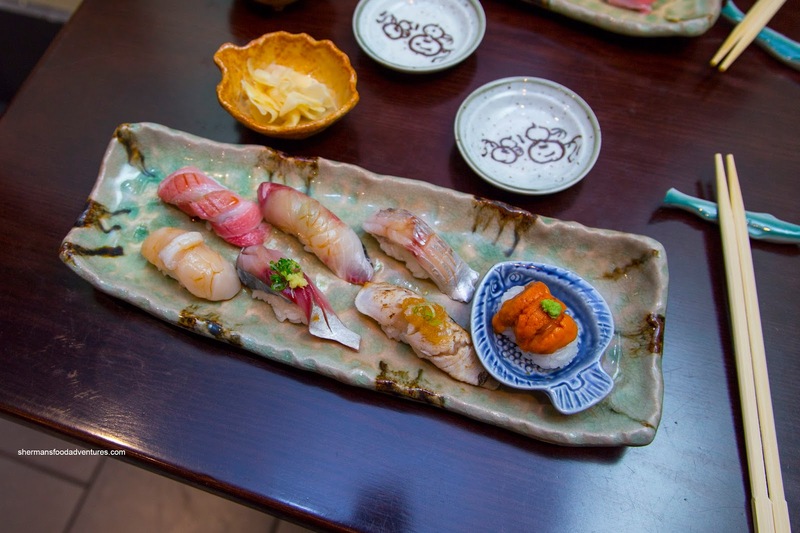 As our tastes and knowledge matured over time, more and more authentic sushi joints began to pop up. Naturally, with the higher quality eats, we also have seen the increase in the pricing. One of the latest spots to open up is Tetsu on Denman. We decided to check out their premium omakase menu. Our first few courses consisted of little appetizers with the Tamago stuffed with Unagi arriving first. From the looks of it, the thing was legit with defined layers and a healthy dose of diced and sauced unagi in the middle. One bite and I was in heaven as the warm fluffy well-seasoned egg had a fantastic mouth-feel. 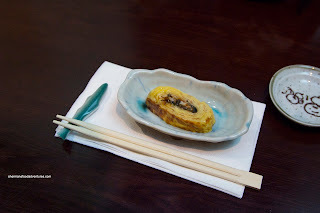 The buttery unagi was a robust addition that was also nicely sweet. The only minor issue was that the bottom portion of the tamago was a bit overdone (but ever-so-slightly). Otherwise it was perfect. Next, we had the Baby Anago or Conger Eel served in a mini-wine glass. It was slippery and soft with a non-offensive sliminess. The flavours were subtle, but sweet with a noted hit of sea essence. Of course the slight brininess and saltiness came through, but it was perfectly balanced with the sweetness. A simple offering that fit the unique, but tasty criteria. 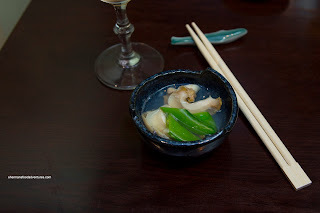 Our last small appie was the Sea Snail served in broth with snap peas. This was very similar to conch having a firm chewiness that wasn't tough. It was sweet with clean flavours. The broth was very mild and almost bland, but this was intentional not to take away the subtle flavour of the snail. I thought the peas could've been less cooked though. Onto the main event, we were presented with a selection of Nigiri that was a piece of art. It consisted of Bluefin Kamatoro, Shimaji, Butterfish, Hotate, Saba, Seared Spanish Mackerel and Hokkaido Uni. Oh man, this was top notch featuring the buttery and sweet bluefin that was melt-in-your mouth fatty. The shimaji had a nice snap and we could really taste the sea. Featuring a more aggressive rebound, the butterfish was of course buttery, mild and clean-tasting. Soft and sweet, the scallop was amped up by the wasabi and a bit of ginger. Firm and appealingly chewy, the saba was fishy in a good way. 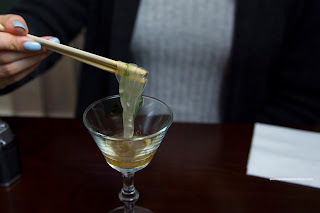 Loved the ginger, green onion and wasabi combination. No other seasoning needed. The seared mackerel was also buttery and nicely fishy. Again, the ginger and spice was impactful, yet not overpowering. As for the sushi rice, it was pretty solid, if not a touch soft in parts. It was well-seasoned and the ratio of rice-to-fish was perfect. Onto our Udon course, we got one each of the hot and cold Inaniwa Udon. 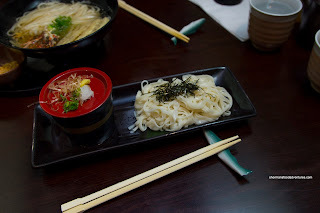 Starting with the cold udon, it was served with a dipping sauce consisting of the usual daikon, ginger and green onion. The thin slippery fresh noodles were chewy and really refreshing. The light dipping sauce was only sweet and savoury enough to add flavour without being too strong. For the hot udon, it was served in a aromatic and mild broth that had some brininess. With the addition of togarashi, it amped up the spice level. 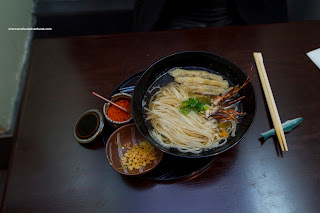 The thin noodles softened in the hot broth, hence, the texture was less chewy and more tender. 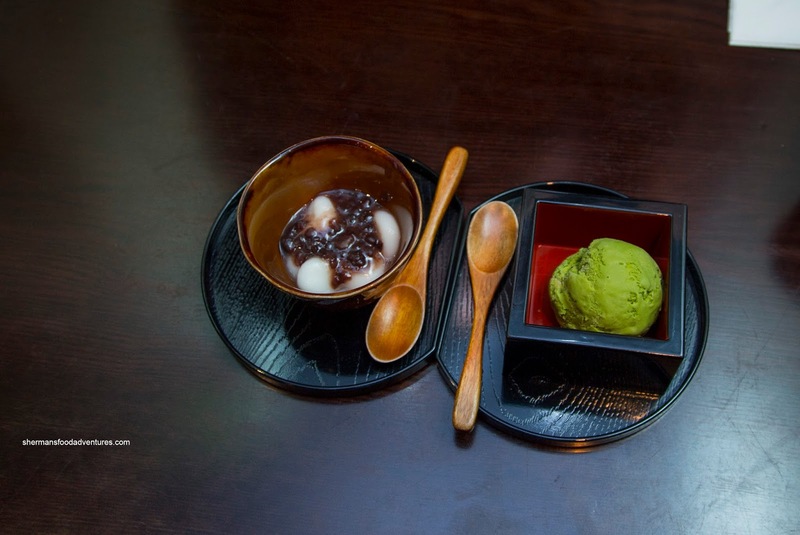 Onto dessert got one each of the Green Tea Ice Cream and Red Bean Mochi. Not a whole lot to say about the ice cream other than it was definitely creamy with a full-bodied matcha flavour. The house made mochi was fantastic being soft with a pleasant chew. The red bean was actually not overly sweet so it complimented the mochi without being overbearing. At the end of the meal, we were pretty pleased with most of the items served. Quality and craftsmanship was definitely top-notch as there was obvious attention to detail. However, we weren't really all that full, so it was the classic case of quality over quantity (that seems to be the trend for Japanese food these days). 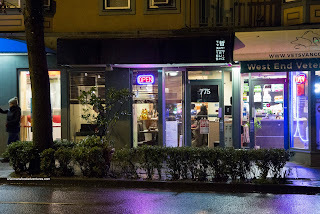 I actually walked by this restaurant a few weeks ago but was taken aback by the prices for the omakase. In my head, I was like "What?! $54 for 5 pieces of sushi??" However, after reading your post, it looks like it's worth a try!